FGE's LPG Foresights monthly service dissects and examines the volatile short-term market for LPG, to deliver clear, concise, and insightful views on the forward market. FGE’s LPG Foresights monthly report dissects and examines the volatile short-term market for LPG, to deliver clear, concise, and insightful views on the forward market. The LPG trading market has become increasingly unpredictable due to various new developments. The US, now the swing supplier into Asia Pacific, faces its own domestic supply and demand constraints which impact Mont Belvieu prices. The Middle East, historically the price setter for LPG prices in Asia Pacific, also finds itself having to compete against US prices to maintain its share in the key Asian market but at the same remains constrained by the OPEC crude output cut agreement. FGE’s LPG Foresights monthly report first breaks down the Asian demand center by country, and by sector in Asia Pacific. This dives into price-elastic demand areas like steam cracking, where we incorporate our in-house view of price spreads into our outlook. On the supply side, we look at production and demand trends for each supplier in the Middle East to determine exports. We also examine the US market in depth, utilizing data from various sources to arrive at a figure for exports and inventory. This gives us a bottom-up approach to forecast the Asian pull on US LPG and our view on prices. Leading Fundamental Analysis Up-to-date comprehensive analysis of key fundamental drivers in both the US & Asian LPG markets. Complete Data Analytics Detailed projections of the supply/demand LPG parameters and the implications in both the US and Asian LPG markets. Access to FGE's LPG Team Clients of our research, analysis, and data analytics can benefit from having consistent access to technical and/or commercial information about the LPG markets. Complete coverage of the US/Asian LPG Markets Interpretation of trends in LPG markets by region within a global context. Accurate Price Forecasts Consistent and logical forecasting of LPG fundamentals and price trends. Rapid Assessment of Events Utilization of knowledge and experience which allows rapid assessment of current and future LPG market happenings. Excel Data file includes the underlying assumptions and forecasts driving the outlook. Traders developing both trading and hedging strategies built on detailed fundamental research. Midstream Companies formulating future policy and hedging strategies. Finance and Investment Analysts following key global LPG supply/demand analytics and price trends. Importers and Petrochemicals Companies deciding on LPG procurement. 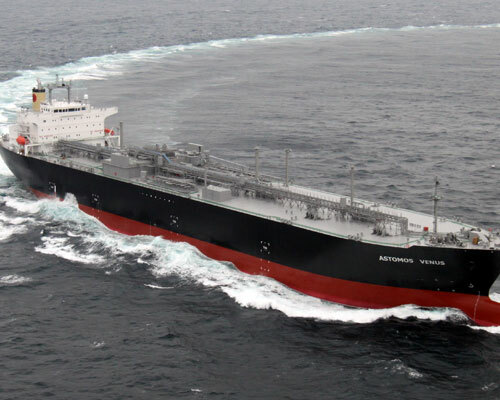 Shipping Companies following trends in LPG trade flows while formulating ship deployment strategies.